← What’s The Frequency, Katie? Ah, beer. The necessary lubricant of science. Always the unacknowledged collaborator in the Nobel Prize. Whether critical to the formulation of quantum mechanics in the pubs of Copenhagen, smoothing the way to the discovery of the double-helix in Cambridge, or helping celebrate an iGEM victory in that other Cambridge (congratulations again, almost-Dr. Brown and team), beer is always there. And now it is helping me think about the future of biological manufacturing. Not just by drinking it, though I can’t say it hurts. Yet. Figure 1. The number of US large and small breweries over the last century. The (official) count was forced to zero during Prohibition. Today is International Beer Day (the site was down last I checked so here’s the wiki article). My favorite beer is Fat Tire. I like New Belgium both as a company and because they make lots of good brews. I also enjoy all the local breweries here, and going to local breweries when I’m on the road. If you’re a fan of craft beer and microbreweries as opposed to say Bud Light or Coors, you should say a little thank you to Jimmy Carter. Carter could very well be the hero of International Beer Day. That’s the number of large and small-scale breweries in the US. You can see how the large brewers continued to consolidate and grow and absorb more and more market share right up to the point where Carter deregulated the industry. Obviously not all deregulation is going to work this way, nor are all matters of regulation as relatively unimportant as beer. But this is a good example of how regulation can crowd out small businesses and local economies in favor of big corporations with ties to powerful legislators. If anything, it should be a reminder that regulation in and of itself is pretty meaningless. While requiring offshore drilling rigs to be equipped with some form of safety mechanism to prevent massive oil spills makes a great deal of sense, many regulations are actually written by the special interests who stand to gain most from their implementation, either by gaining special legal perks or by crowding out competition. Maybe instead of using regulation or deregulation as starting points, we should look at ways to create more transparency in Washington and more oversight of the regulators themselves. I’m not sure how to close the many revolving doors between industry and Washington, D.C. I’m not sure it’s even possible. But when I talk about limiting government, this is partly what I mean – limiting the way that government and special interests (including powerful corporations) work together at the expense of the rest of the country. So next time your uncle tries to tell you that Jimmy Carter was the worst president of all time, point him toward that chart. If you missed yesterday’s celebration, it’s not too late to pour one out for President Carter, preferably a dollop of something as tasty as a Rogue Hazelnut Brown Nectar, for the author’s money the country’s greatest beer. Possibly this was all a plot to jack up peanut sales. But it worked. It’s worth noting that Carter got no political credit for this move, and that the benefits didn’t appear until long after he departed. Some policy successes — like a successful war or peace treaty — yield immediate political dividends. But others produce little change until many years later, by which time everybody has forgotten your policy had anything to do with it. Because of my association with Jimmy Carter (years ago), and with beers (over the years), I am obliged to recognize, with admiration, our 39th president’s role in reviving America’s brewing industry. As noted yesterday on the Balloon Juice site and graciously mentioned by too many readers to ignore. Plus the Atlantic Wire here. Of course James Earl Carter Jr. was not the only member of his family to push in this direction. 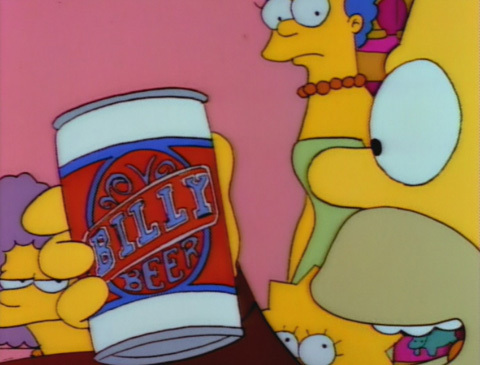 First, those of us over a certain age will immediately recall “Billy Beer,” the product promoted by Carter’s infamous younger brother. Whether this made Jimmy more or less sympathetic to small brewers is hard to say. Second, while I was decidedly not a fan of Jimmy Carter, he actually gets a bad rap — and Ronald Reagan gets too much credit — on a couple of fronts. Contrary to popular belief, Carter wasn’t anti-defense. He was, after all, a Naval Academy grad who served with distinction in the Navy. And his SECDEF, Harold Brown, pioneered the Offset Strategy that Reagan would later fund, putting us on the path to the world’s most technologically advanced military. And, while Reagan certainly continued the trend, Carter was the one who put us on the path to deregulation. That’s especially ironic in that he followed two Republican presidents, Richard Nixon and Gerald Ford. I personally find it particularly meaningful that government and industry and (I presume) anti-drinking scolds colluded to criminalize a behavior that wasn’t just victimless, but downright awesome; and that the removal of that appalling bit of illiberal nannyism helped usher in a phenomenon I would have bet the house against two decades ago: a thriving and variegated American industry of delicious beermaking. And given that, what’s wrong with making deregulation a “starting point”? Imagine for a crazy moment a world in which the default expectation would be for government not to flop its grotesque belly onto the forehead of various industries, not to meddle in the affairs of pre-pubescent drink vendors, not to redistribute $20 billion a year (give or take) of our money to mostly well-heeled agriculture companies just to make sure they don’t face competition from poor people. I’m not talking about no regulation here, but rather the idea that if such-and-such activity isn’t hurting anybody it shouldn’t be subject to governmental micro-managing, license-imposing, winner-picking, and even arrest. One of the common misconceptions about libertarian enthusiasm for deregulation is that it’s some kind of (presumably paid-for) philosophical cover for wanting the very richest Corporates to be even richester. Speaking as a libertarded conspiracy of one, my favorite bedtime deregulation stories are about stuff like beer, air travel, and talking about politics on radio and TV, where after you lifted restrictions that in retrospect sound like they came from another planet, people do what the normally do when left alone—create all kinds of interesting new artifacts, businesses, and even ways of life. Regulations so often piss me off because they so often fall disproportionately on the backs of the little guy, while the big guy—even/especially the one whose misconduct precipitated the regulation in the first place—walks off with a well-lobbied exemption. Generally speaking, the fewer activities are illegal, the freer us opposable-thumbs types are. Reason on deregulation here; on Jimmy Carter’s significant contributions here. I think Matt Welch is reading too much into what I wrote on beer deregulation. When I say that regulation in and of itself is pretty meaningless, what I mean is that for better or worse liberals, conservatives, and libertarians often treat regulation or deregulation as some magic bullet. You often hear on the left that we just need to regulate such and such and then all will be fine and good with the world, while libertarians and conservatives too often ignore the possibility that deregulation can also benefit the well-connected at the expense of the little guy. The reason I say that transparency in government is a more important starting point is that I want to find mechanisms that can make both the regulatory process and our ability to effectively implement deregulations a more transparent, fair, and less easily manipulated process. Regulations so often piss me off because they so often fall disproportionately on the backs of the little guy, while the big guy–even/especially the one whose misconduct precipitated the regulation in the first place–walks off with a well-lobbied exemption. Generally speaking, the fewer activities are illegal, the freer us opposable-thumbs types are. I’d just point out that this is not always the case. Sometimes what looks like deregulation is just a new batch of regulations written for a new batch of lobbyists. Or new laws can be reinterpreted to benefit industry instead of consumers. Credit cards are a good example of this.